On the 9th and 10th of November those visiting the Bentley Showroom in Dusseldorf were treated to a BENTLEY FRIENDS & CO event. 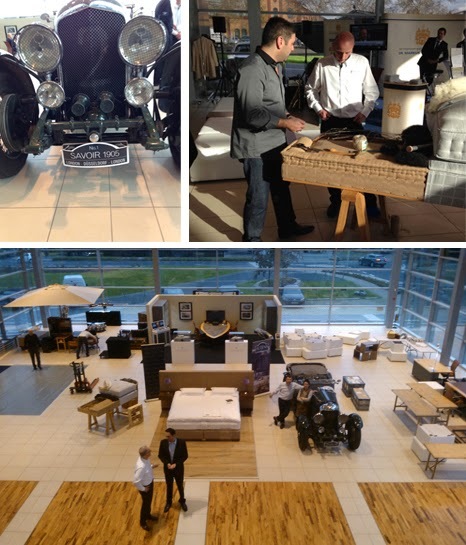 Set amongst these beautiful British cars a Savoir Beds master craftsman was demonstrating how the iconic Savoir No1 bed set is made. Using traditional mattress making techniques and only the finest natural materials. A No1 bed was on display for everyone to try, the event was a success. We would like to thank our Bentley partner and look forward to collaborating again in future.